Summon: You may choose a card from your hand to swap with a card in your Market. Market - Merchants allow you to store up to five cards in your Market when you build a deck. 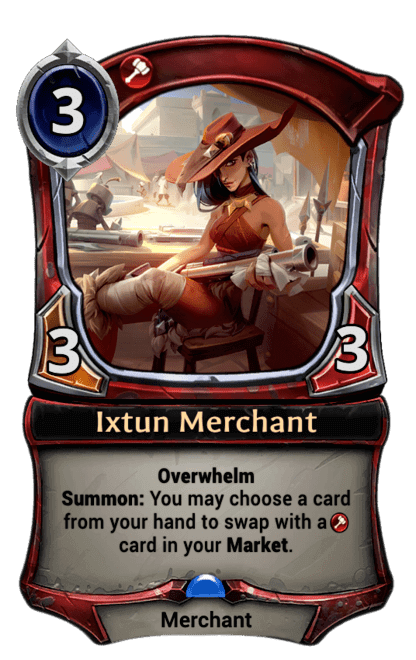 When cards are retrieved from a Market, they are drawn.